Can we possibly state here that DevTest Solutions can help you to pace up your efforts towards adopting enterprise DevOps? DevTest Solutions are a bunch of applications that help you to shorten your dev/test cycles, enhance test coverage, ensure quality, reduce infrastructure costs, and effectively support your speed-to-market strategy. Application-based business is getting a serious impetus, which is putting tremendous pressure on the testing and development teams to deliver quality software at speed. DevTest is a concept that emerges from DevOps, and is integrated firmly within the DevOps scenario. DevOps as a practice has been well received and well-established as well. Considering the same, can we say that a collaborative DevTest strategy can further boost your QA and Testing plans? Why to consider DevTest solutions? DevTest solutions are expected to bring more collaboration between developers and testers and simplify the communication. This is done by bringing in more automation and structure to the development process. Traditionally, developers would work on the code and later pass it on to the testers for executing the tests. This would slow down the process, as every time the development team would have to wait for the response from the testers and then take further action. Collaboration makes much more sense from all perspectives. The tools implemented in the DevTest scenario help to analyze the code, collate it, and initiate testing simultaneously. Hence, the development cycle doesn’t stop, as both the developers keep getting the feedback and the process continues. DevOps as a methodology has been effectively accepted across enterprises for the various benefits it brings for Development teams and in product/software development. DevTest tools are more or less an extension of DevOps tools, and as mentioned above are tightly integrated within the DevOps scenario. With DevTest, developers and testers cohesively work on the same code base, with a combined collection of tools for monitoring the testing activity. 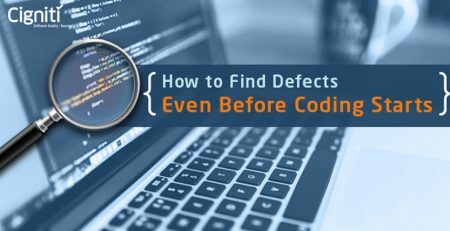 For instance, once the test code is fed into the code repository, the testers immediately implement tools to check if the code practically works and whether the quality standards are effectively met. The response for ‘Why DevTest?’ could entail a lot of reasons and supporting factors, but the key factor is ‘ensuring quality output at speed’, where ‘collaboration’ is the catalyst. 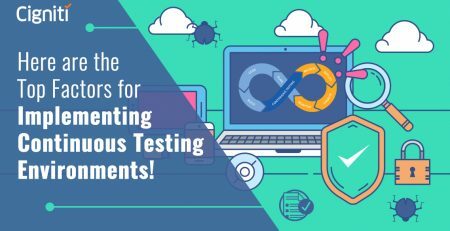 How can DevTest give a solid impetus to your QA plans? DevTest has been considered by enterprises to remove testing bottlenecks and pace up the development and testing activities, by ensuring cost effectiveness. While we look at the brighter side of DevTest solutions and the concept as a whole, it has been recommended by experts to consider DevTest approach on the Cloud. In the below mentioned factors, we shall consider this recommended approach as well. As you would have noticed by now, organizations are progressively leveraging the Cloud to bring speed and efficiency for application development. Resource sharing, optimal utilization of dev/testing resources, and availability of infrastructure are some of the key highlights of the Cloud. In the DevTest scenario, the testers and developers need not wait for physical set-ups to execute their tasks. At the same time, it can also help to create complex application stacks, where the code can be tested for effectiveness. This helps to enhance test coverage and ultimately ensure quality output. We have already addressed the aspect about optimal utilization of resources in a Cloud scenario. Nevertheless, the idea of DevTest is not only to bring speed, but also bring cost-effectiveness in the development cycle. With more collaboration, teams are able to share resources such as test environments, testing frameworks, test cases for reference, and much more. This definitely adds value to the development process and also brings down the costs that could be incurred for making separate arrangements. Whether it’s DevOps or DevTest, any progressive development scenario needs open communication channels. Thanks to the collaborative approach, DevTest ensures that all the communication channels are explored to bring transparency to the process. This not only confirms efficiency, but also ensures business agility, which is imperative for building applications to bring Digital Transformation. In the current business scenario, consumer preferences keep shifting and the specifications concerning business applications could change at any moment. Hence, open communication channels and agility is business-critical. Businesses in every possible way are striving to ensure better operational efficiency. Any process that encourages collaborative working, resource sharing, transparency, and agility helps to boost operational excellence. DevTest tools are designed to ensure that all these factors are plugged in while building applications. Furthermore, it helps teams to deliver faster, and deal effectively with testing bottlenecks such as inadequate test coverage, effective use of resources, or sufficiently leveraging testing skill-sets. DevTest, as we have discussed, reduces the gap between development and testing, and ensures that both the processes work in tandem. With automation and DevTest solutions, the development process gets effectively monitored. This brings efficiency and ensures maximum test coverage for the application. Ultimately, this helps teams to confirm that quality is prioritized and assured through the development cycle. Enterprises are currently waging a digital warfare against each other in the consumer market scenario. It just takes a second for an application to crash or get hacked, which jeopardizes an organization’s brand reputation. Hence, it is not only important to ensure speed, but also monitor the quality of applications to bring profitability and sustainability to the business. Cigniti supports the DevOps needs of organizations by providing solutions that enable automated test orchestration and ensure rapid product development and deployment through an integrated model of continuous integration, continuous testing, and continuous delivery. Connect with our experts to bring the benefits of DevOps and DevTest solutions for your organization. 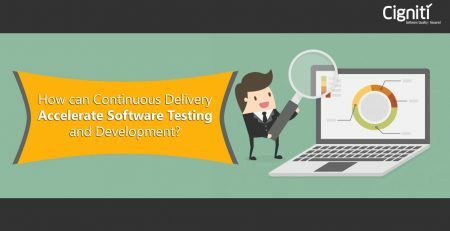 How can Continuous Delivery Accelerate Software Testing and Development?